If you're performing a long surgical procedure, it's important that you remain comfortable throughout use. 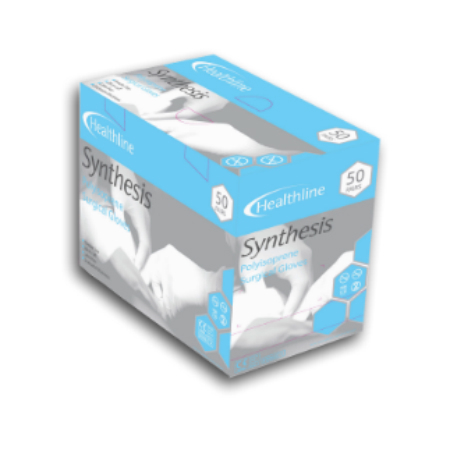 The Healthline GSSYN Sterile Surgical Polyisoprene Gloves are ergonomically designed with curved fingers to minimise hand fatigue and help you stay comfortable. The watertight test shows that the GSSYN Surgical Polyisoprene Gloves gained AQL 1.0 in EN 455-1, meaning it achieved a general inspection level one. This makes the gloves suitable for medical use. ASTM G1671-7 tests whether the gloves are resistant against penetration by blood-borne pathogens. 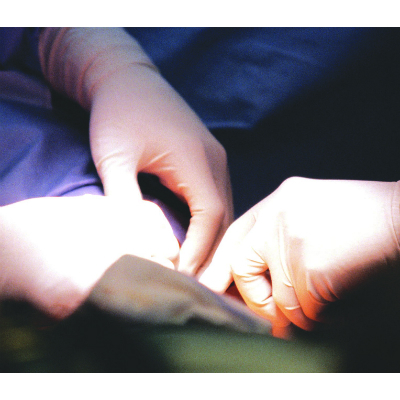 No visual penetration was found with the GSSYN Surgical Polyisoprene Gloves. The GSSYN Sterile Surgical Gloves are designated Category I gloves, meaning that they should be suitable for minimal-risk tasks. The gloves are made specifically for surgical use, making them ideal in medical settings where other hazards aren't present. The GSSYN Polyisoprene Gloves are available in four sizes to fit the hands of most users. To find out which size you require, please measure the circumference of your hand around the knuckles (excluding the thumb) with your hand open and your fingers together.